I finally got chance to upload pictures from my camera. Not that it is hard, I just need to actually have the camera and my laptop in the same room. 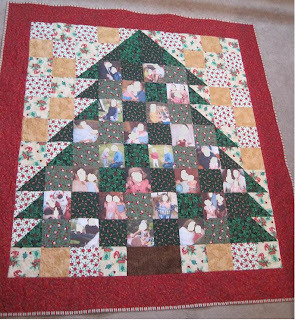 The first picture is of the Christmas Tree quilt. Before you think that she can't take a picture, I went through and colored over the faces in Paint before I upload the picture. I am kind of funny about the idea of putting peoples pictures on the web without their knowledge. 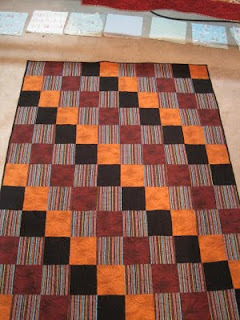 Quilting is a small wonderful world!